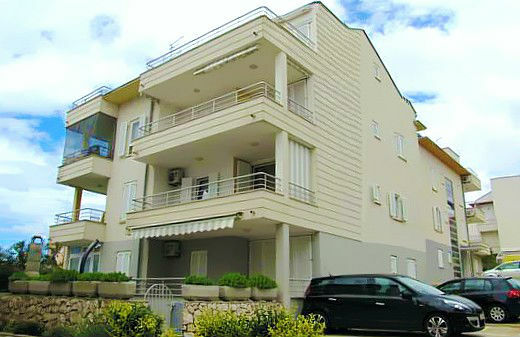 Apartment "Vuckovic" are located in the western, peaceful part of Novalja - mainly family tourism. Close (400m) to the Babe sand beach, known for its warm water and fine white sand. The apartment is air conditioned, modern furnished and equipped, with a large LCD TV, terrace overlooking the sea, washing machine, safe, LED color lights. N +44° 33' 51" | E +14° 52' 22"